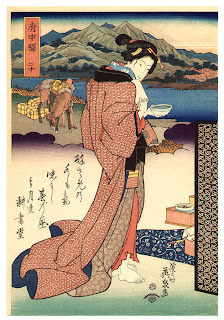 in all the websites, books and articles i've read, i can't find anyone saying, those rhead brothers sure had a great collection of japanese prints, or, they sure went to japan a lot. 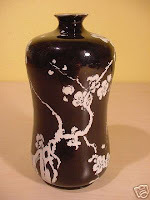 the brothers' family, originally from england, was made up of potters, and incorporating japanese designs into their work was well-known internationally. 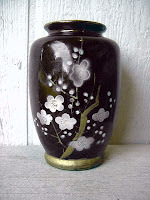 both moved to the us where frederick rhead continued the family tradition and became a potter. 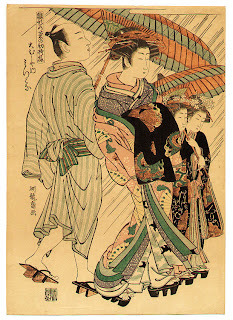 louis rhead was one of the three illustrators (with will bradley and edward penfield) to lead the procession when it came to japanese influences to the graphic arts in the us. 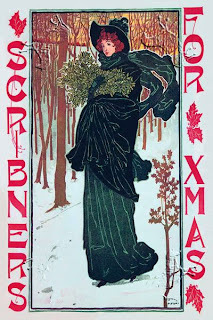 in addition to being a poster maker, he was the editor of the japanese special issue of 'the art interchange,' a popular magazine devoted to arts and decor. 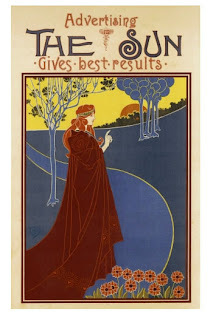 the rheads' british education had given them a broad introduction to the arts & crafts style (which, along with 'liberty style,' was england's 'art nouveau"), which translated well to the design aesthetics spreading across the world.